Bellevue Cosmetic Dentists, Dr Cynthia Pauley and Dr Brian Cave, Brookside Dental, Bellevue, WA, have been selected Seattle Met Magazine Top Dentists 2012 by a vote of general dentists and specialty dentists in the Seattle, WA, geographical area. Selection for the Seattle Met Top Dentist honor in the 2012 year is for both General Dentists and Cosmetic Dentists categories based upon the excellent quality of dentistry that both Dr Cave and Dr Pauley provide for their patients. It is a very prestigious honor to be selected to the Seattle Met Magazine Top Dentists List because only a small percent of the overall number of dentists in the greater Seattle Metropolitan Area receive this accolade. 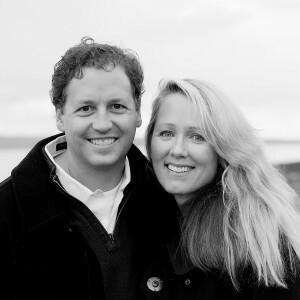 Brian Cave DDS, previously practiced dentistry in Edmonds, WA, for 16 years before joining his wife Dr Cynthia Pauley at Brookside Dental in Bellevue, WA. Inclusion in the Seattle Met Top Dentists List is based on an extensive survey of dentistry professionals in both the general dentist and specialty dentist fields. Votes are cast by hundreds of dentists in the Seattle, WA, metropolitan area with listings of the Top Dentists published in the January 2012 issue of the Seattle Met Magazine Top Dentists. The listings also are available at the Seattle Met Magazine website. Inclusion on this list is considered a significant honor, because these top dentist listings cannot be purchased and there is not any fee necessary for inclusion on the Seattle Met Magazine Top Dentist list. Additionally, both dentists were selected for inclusion on the recent USA Top Dentists list where their professional listings are available at the USA topdentist website. For additional information about these two cosmetic dentists please visit their website or their cosmetic dentistry blog. Bellevue Cosmetic Dentists at Brookside Dental, Bellevue, WA, create beautiful smiles with either minor smile alterations or complete smile makeovers. Before and after smile photos exhibiting the ultimate beauty changes created with modern dentistry techniques can be seen on their cosmetic dentistry website Smile Gallery. Congratulations to both you for making it to the top list. Keep it ups! You’re both awesome. Good job! It is fitting to look for the best dentist to take care of your dental needs. When searching for a qualified dentist, it is important to make sure that the dentist in question has the latest and most recent equipments the industry has to offer. Additionally, it is important to find the specialization of the dentist you are choosing since there are cosmetic, general and several other type of dentists. Kudos to Dr Cynthia Pauley and Dr Brian Cave! Many thanks for the congrats – it is really appreciated. If you should choose a dentist, choose someone who can make you feel comfortable in the dentist chair and whom you can trust. And one can’t be voted as one of the Top Dentists of 2012 if you don’t know how to make your clients feel such. One way to restore the beauty and health of one’s teeth is through cosmetic dentistry and a good cosmetic dentist 🙂 Good job!